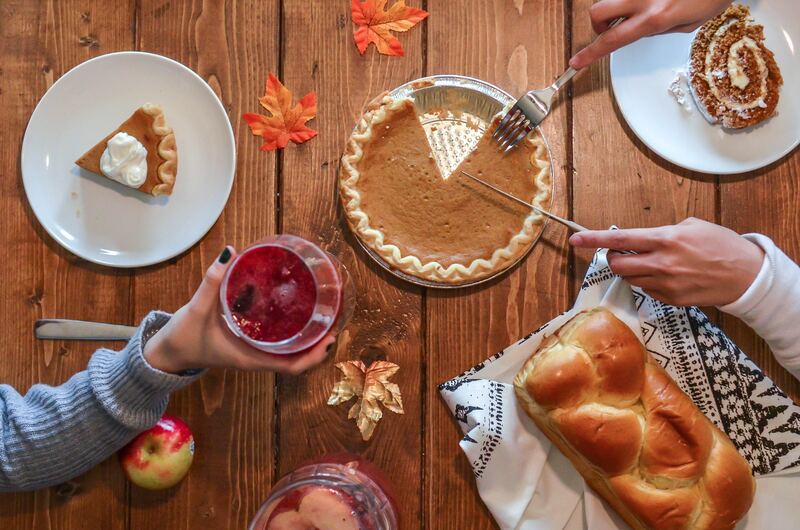 Come Thanksgiving and all the diet plans go for a toss, as you sit around the table with family and friends to gorge on all the delicious and painstakingly cooked food on the table, granted the meals far exceed your daily calorie intake. But you can break a few rules. It’s Thanksgiving after all! Here is something to keep in mind though. Some may experience tiredness, weaker digestion and dryness and this is not entirely due to the binge sessions. Thanksgiving, as per Ayurveda, falls during a seasonal shift, where we are moving into autumn and early winters. It marks a seasonal transition, which is a sensitive time according to Ayurveda. The onset of dryness can cause digestive problems, stiffness in the muscles and joints, cracked heels and dehydration. So we bring you the complete guide to an Ayurvedic detox that includes tips on what you must eat, what you can avoid, and treatments you can take post-Thanksgiving. Also, this is the most appropriate time to detox because after the unhealthy binging, the digestive system is vulnerable. This time of the year is called Pitta Prakopakala in Ayurveda which means, Pitta Dosha (fire and water element in the body) tends to get vitiated around this time, which can lead to more digestive problems in the season. It is recommended to have lots of water and fluids in this season for flushing out the toxins from the body. It is a good time for kidney cleansing. Have more soups and cooked vegetables as the main form of diet. Include probiotics like freshly made curd in your diet to fight weak digestion. Have papaya, pomegranates and seasonal fruits that are antioxidant rich. Since Vitamin 3 from the sun during this season is not sufficiently available, make sure you have it in the form of vitamin drops. fried food, cheese, baked food. foods with salt or sugar in it. cabbages, chickpeas and radish which can cause bloating. Abhyanga is a full body oil massage and here’s how you can do it. It improves skin texture, hydrates it and keeps it from flaking in this season. Abhyanga is your answer to all the hydration and relaxation needs for the body and mind. A)Snehana is one of the main Shodhan or internal detoxification therapies prescribed in Ayurveda. In Sanskrit, Snehana means to oil or smooth it out. This therapy softens, soothes and prepares the body for the removal of the metabolic waste in the body. B)Swedana or Sweat therapy is where the body is induced to sweat through herbal steam. Swedana is performed right before the detox therapy begins. Swedana improves blood circulation, removes toxins, lubricates the joints, improves the skin, lightens the stress in the body and makes the patient feel deeply relaxed. C) Body massages with well-formulated calming body oils will help calm the Vata in the body. One of the quieter and heavenly places for finest Ayurvedic Spa and massage treatments that few people know about is the Art of Living Retreat Center , nestled at the top of Blue Ridge mountains. The center has all the ingredients-spa retreats, Panchakarma retreats, Yoga and Ayurveda retreat among other wellness retreats-that go into making a relaxed and rejuvenating vacation with some quality soul-time. Also, do check out our Ayurveda inspired skin care offerings that help balance Vata Dosha induced dry skin. Boil half a cup milk and add a teaspoon of castor oil to it. Have it before going to bed. This cleanses your digestive organs and purges the toxins collected over the season. You may need to use the loo 2-3 times next morning, but you can rest assured you will feel light and empty after the cleanse. Make a paste made out of neem leaves and turmeric. Have it with some warm water in the morning. This will keep digestive disorders at bay. C) Honey, basil and gooseberries are wonderful for building immunity for the season.